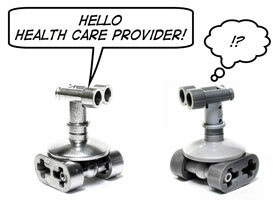 Learn to talk like a Healthcare Management Robot. Be careful though. If you talk like a robot, people won’t listen. Feed the robot. Share your new health care management phrases with me on Twitter.